Dr. Martin Deemar is dedicated to making a difference in his patients’ lives by providing exemplary dental care. He knows that it takes more than just good technique to be a great dentist it takes commitment, understanding, and most importantly, a genuine interest in patient health and well-being. Dr. Martin Deemar graduated in 1990 from the University of Toronto and completed a general dental residency at Mt. Sinai Hospital in 1991 gaining exposure and experience in the many facets of dentistry. After associating in a large dental practice in Scarborough he opened the Coxwell Dental Health Centre in 1995 moving to the current location in 2005. 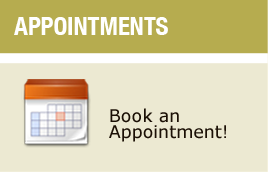 Since its inception Dr. Deemar's practice has focused on oral and dental health. Currently on staff at the University of Toronto as a part-time clinical instructor Dr. Martin Deemar has extensive training in restorative, aesthetic dentistry (the art of smile-improvement) and family dentistry. A member of numerous professional organizations, including The Royal College of Dental Surgeons of Ontario, The Canadian and Ontario Dental Associations and the Crown and Bridge Study Club, Dr. Martin Deemar has kept his clinical skills current through an ongoing commitment to continuing education courses. When not designing youthful, healthy smiles for his patients, Dr. Martin Deemar enjoys time with his family, reading, travelling, bicycling and musical performance.